An ‘in-the-box review’of Khee Kha’s Bellanca CH-300 Pacemaker, including a short history of the type, was published on IM by Jim Schubert in January 2006. The CH-300 Pacemaker is the ‘sister’ kit to the CH-400 Skyrocket (also the subject of an ‘in the box review’ by Jim Schubert in Oct 2004 IM), and the third in Lars Opland’s Khee Kha vac-form series. The Pacemaker kit contents and documentation follow the same format as that of the Skyrocket, a single vacform sheet for the essential airframe components and a set of resin pieces for the prop, engine, cowling and exhaust manifold. No decals are provided. I made a decision at the outset to model ‘Shakey Jake’, a float equipped Pacemaker (NC-196N) belonging to Marine Airways of Juneau, Alaska. First introduced to this particular aircraft in the pages of Jim Ruotsala’s book Alaskan Wings, I was particularly pleased to see that Lars had included very useful three view drawings of ‘Shakey Jake’ in the building instructions included with the kit. Included with the kit is a detailed set of building instructions which provides plenty of helpful hints for those modellers unaccustomed to vacform building. However experienced a modeller you might consider yourself it is well worth sitting down and reading through these in detail a couple of times in order to formulate a sensible build sequence for your particular airframe, especially if it involves a variant with skis or floats. Removal of the components from the backing sheet followed conventional vacform practice - outlining the individual parts with a heavy pencil, scoring at 45o with a sharp knife and then ‘snapping’ out the pieces. The thickness of the plastic became evident at this point and some additional scoring was required to extract some of the pieces. The exact contours of the fuselage nose/windscreen region were a little difficult to determine on the backing sheet so I left a generous amount of ‘waste’ in this area until the precise profile could be verified. This is important because of the need to ensure a snug fit with the resin cowling piece later on in the build. 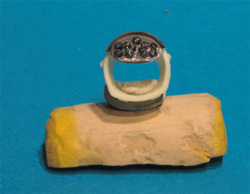 The Townend ring was cut out using the method detailed in step 14 of the instructions. The ‘shipping cup’ used to pack the resin engine is cut out from the backing sheet and rotated carefully on a flat surface against the point of a sharp knife blade. The blade is held parallel to the surface at the required height by taping it to scrap sheet laminations. This resulted in nice clean extraction of the ring from the shipping cup, an exercise which could have been very tricky if attempted using a razor saw. I removed the extensions to the airfoil wings struts as I felt these were overscale and would be better represented with ‘Strutz’ replacements later on during construction. The undercarriage legs and wheels were left intact on the backing sheet and consigned to the spares box as they were not required for Shakey Jake. Although the instructions cover fuselage assembly next I decided to work on the mainplane as the first area of construction. Not having built a vacform for many years I felt it would be beneficial to ‘sharpen up’ old skills on the wings first before addressing the complex ‘joinery’of the curvaceous fuselage. The upper and lower wing surfaces are removed from the backing sheet as one piece full span components. 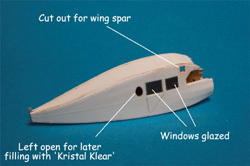 Separation into port and starboard wings only occurs after the upper and lower surfaces have been prepared and joined. Both upper and lower surfaces were sanded to produce acceptably thin trailing edges. This was a demanding task due to the thickness of the backing sheet but the advantage of the inherent component strength outweighed the downside of a lengthy filing and sanding exercise. I retrieved my old Aeroclub aluminium ‘T bar’ and sticky pad tool set from the depths of the tool box and it proved ideal for gripping the wing components during sanding operations. After joining the upper and lower surfaces thin plastic strips were added to the mainplane underside to represent the prominent strakes of the full size machine. The mouldings have clear indications of the length and lateral separation of these features so it was a simple job to add the strip over the top of each one. Once the glue had cured they were sanded to the correct profile and cut-outs made for the aileron control cable inspection clear panels. The completed mainplane was then set aside pending its separation into two wing halves following completion of the fuselage assembly. I found a very useful photo on the Khee Kha website which showed the cut out Pacemaker fuselage sides in close up. This resolved the question as to the exact shape of the fuselage cowling area ahead of the windscreen which needed to be ‘notched’ to accept the resin forward cowling piece correctly. A small sketch diagram in the instructions would have been useful to clarify the ‘relationship’ between these two components. Closely following steps 3-6 of the instructions, the window and main spar cut outs were made and joint re-enforcing strips added to each fuselage side. 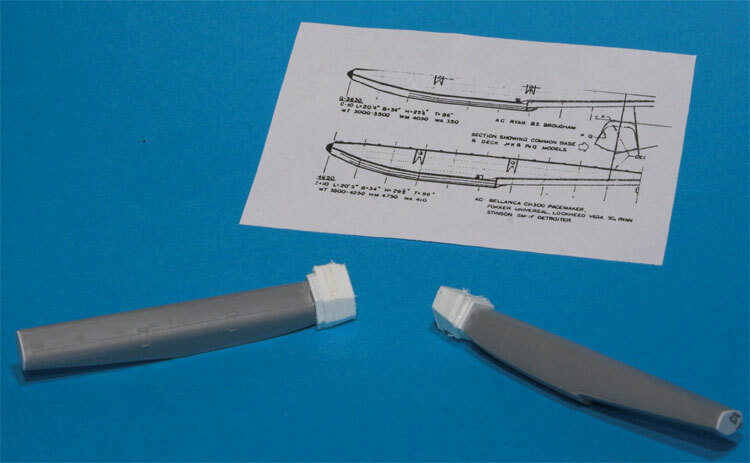 These strips would allow the fuselage top and bottom pieces to line up nicely with the contours of the fuselage side profile when making the joint. 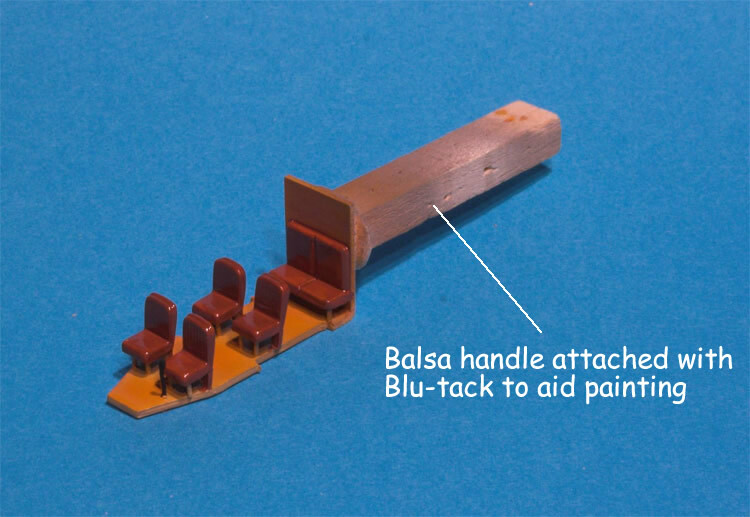 Following the recommendation in the instructions approximately 2mm long strips were glued at regular intervals along the fuselage profile. 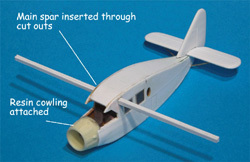 This made for easier following of the fuselage curvature than would a single continuous piece of plastic. A test fitting of the top, bottom and side components using several strong rubber bands showed that only minimal filler was going to be required following final gluing. Attention now focused on the fuselage interior. 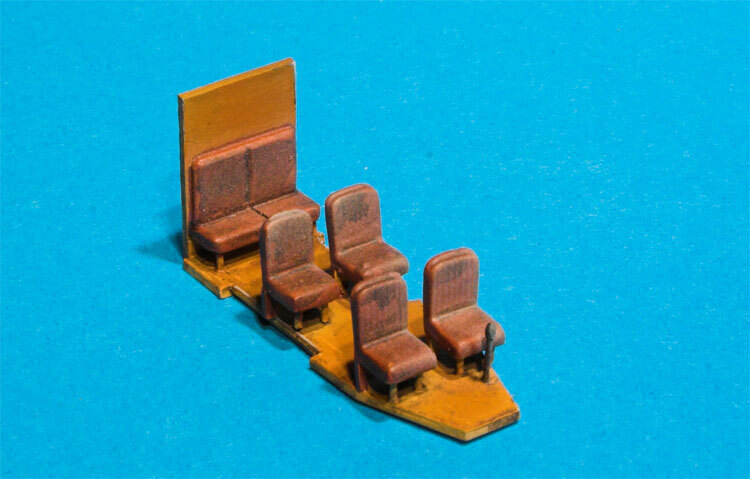 I elected to use some spare seats liberated from the MPM Lockheed Vega kit for four of the seats. The bench seat attached to the rear bulkhead was fabricated from the vacform parts. The interior was painted and ‘weathered’ with Humbrol enamels to give a general impression of a well worn working aircraft. Once the interior was thoroughly dry all the fuselage components were brought together and carefully joined using liquid cement. The accuracy of the vacform parts and the use of reinforcing strips combined to make this a straightforward exercise. Plenty of Tamiya tape was used to keep the parts together until the cement took real hold. The resulting assembly was carefully checked for symmetry and then any minor gaps filled with Squadron Green Stuff. 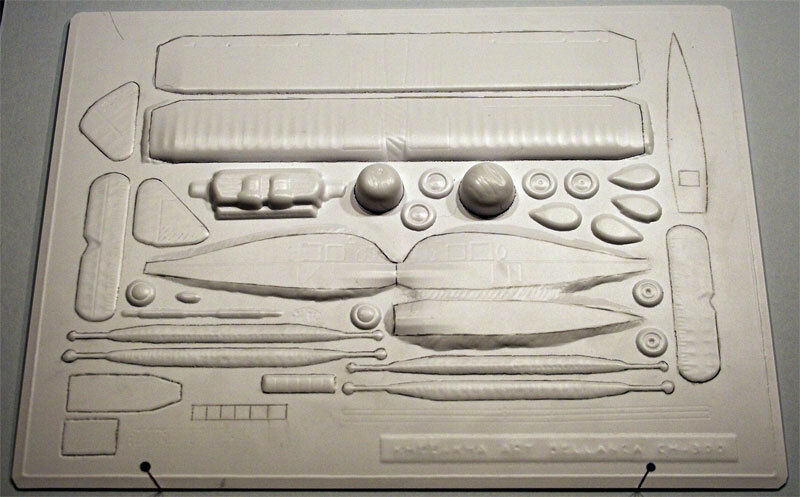 Using the vacform template provided, and with reference to various pictures of Pacemaker instrument panels, a simple representation was fabricated and attached to the resin cowling. Visibility of the panel was going to be limited in the finished model so detailing was kept to a minimum. The rudder and elevator trailing edges were given a vigorous sanding and all the tailplane components were attached to the fuselage. I was not able to achieve quite the scale thickness of the tailplane leading and trailing edges that I would have liked but this was due to my inadequate filing and sanding rather than any inherent fault in the mouldings. The tailplane struts were added using brass Strutz to give real strength in this area. 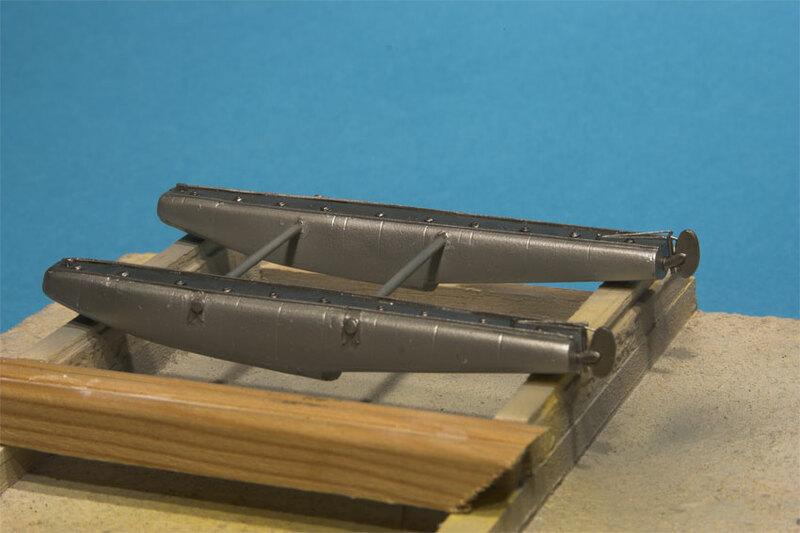 The wing spar was carefully threaded through the fuselage cut outs and fixed in place with a touch of liquid cement. 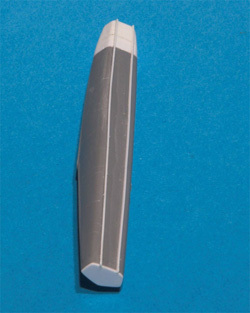 Once in place the laminated spar formed an extremely strong basis for wing attachment – a very nice design element in the kit. To complete the basic fuselage assembly the resin cowling, together with the attached instrument panel, was fixed in place. 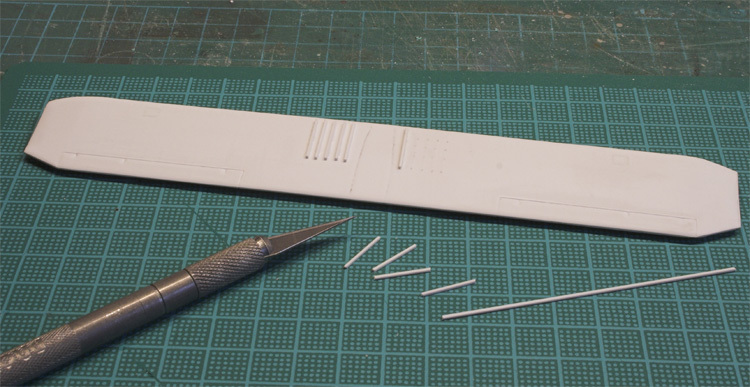 Some minimal sanding of the fuselage sides was required in order to remove a slight ‘lip’ between the plastic and the resin. Lars makes the point in his instructions that this ‘metal cowl to fabric’ boundary on the full size machine is fairly abrupt anyway so I did not attempt to create an invisible joint line. Careful ‘dry fitting’ of the fuselage sides, the fuselage bottom and the resin cowling at an early stage will pay dividends in the accuracy of this critical joint. At this stage I had run out of excuses not to fit the wings. The panels were thus separated and the wing root profiles gradually refined with alternate carving, sanding and repeated dry fitting in order to create a snug fit with the fuselage side. Do not do this late at night when eyes and hands are tired – save it for an early morning session! As the wings will rotate slightly around the axis of the spar, care is needed to make sure that the port and starboard wings exhibit the same degree of incidence before final gluing occurs. Use a slow setting cement for the wings so that there is plenty of time to check dihedral, incidence and alignment fore and aft. Once happy with both joints I put the whole airframe aside for a week or so to allow the cement to cure completely before progressing further. Aileron horns and tank filler caps were added using spare pieces of Strutz and etched brass. At this juncture I decided to add the horizontal elements of the airfoil struts to the fuselage as this would give me a reference point from which to establish the position of the floats and float strut attachment points. Although a perfectly acceptable vacform windscreen is included in the kit I decided to represent the ‘angular’ look of the full size windscreen with separately fixed flat panels. The windscreen framing was created using small pieces of guitar string fixed in place with super glue. Individual clear plastic panels were cut out using the 3 view drawings in the instructions as a guide. The cockpit coaming was painted a metallic grey and then each windscreen panel was carefully glued in place using slow setting CA. This proved to be a tortuous process, but one that I had inflicted on myself so no excuses! Ultimately I was pleased with the resulting effect but would recommend that the kit supplied windscreen is utilised if you are more adept than me at painting (or decaling) cockpit framing. 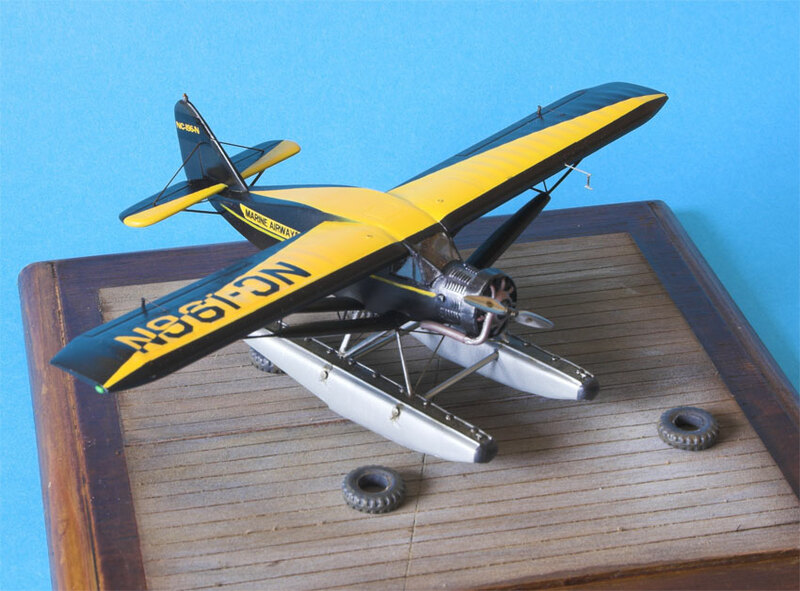 I took a break from work on the airframe at this stage in order to concentrate on building the EDO K-4650 floats that Shakey Jake sported. 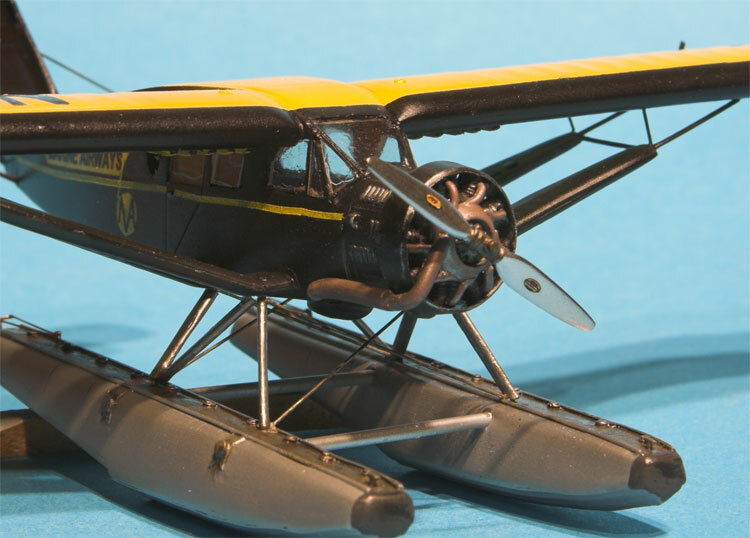 I became aware during the building of this model that Jim Schubert and Lars Opland were planning to produce a resin set of 1:72 EDO J-5300s which could be used in place of the inaccurate examples provided with the MPM Lockheed Vega floatplane kit. The J-5300s have the advantage of only requiring a simple modification to produce the K-4650s. I thus had the option of waiting for this resin set or pushing ahead with a scratch-built set of K-4650’s. Perverse logic dictated that I would go for the scratch-built option. Lars had already kindly provided a set of EDO float profiles and some very useful photos of a full size set of J-5300s under restoration at the AAHM (Alaska Aviation Heritage Museum). I made an early decision to utilise the MPM Vega floats as the basis for my K-4650s as this would ultimately require less work than starting completely from scratch. 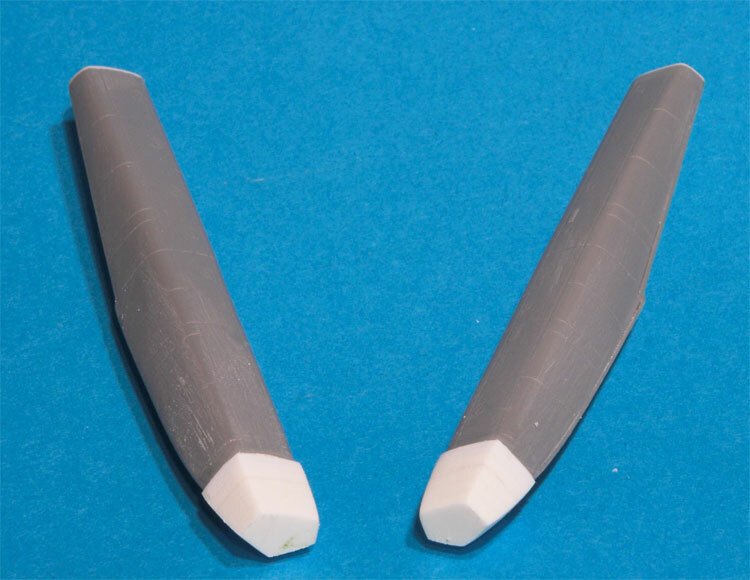 Two major pieces of surgery were required to modify the MPM examples - reducing the overall scale length and re-modelling the whole nose profile which in the MPM mouldings has a strange asymmetry not present in the full size floats. In addition the under surface required additional ‘flutes’. The paper profile of the K-4650s was scanned and manipulated in Photoshop to produce an exact 1:72 scale length before printing out several copies. The correct scale length of the K-4650s behind the step was measured and the MPM moulding ‘amputated’ accordingly. The whole of the badly shaped nose piece was removed and laminations of scrap plastic glued in place to create an overall correct length measured against the profile. The correct nose profile for the 4650s was produced with careful carving and sanding of the plastic laminations. The correct ‘fluting profile’ was created using heavily scored thin plastic sheet which was glued to the under surface of the float. 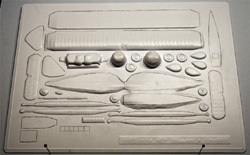 Additional detail was added to the float top and sides using reference photographs of float equipped Pacemakers from Alaskan Wings and the Canada Aviation Museum Image Bank. Spreader bars were fabricated from plastic rod and inserted into holes drilled into the inner sides of each float. The float spacing was checked against the 3 view drawings of Shakey Jake in the instructions and the whole assembly glued together. Water rudders and associated linkages were added from plastic sheet and stretched sprue. The whole unit was sprayed with Halford’s acrylic primer before being finished in Alclad aluminium and weathered with artists’ oils. 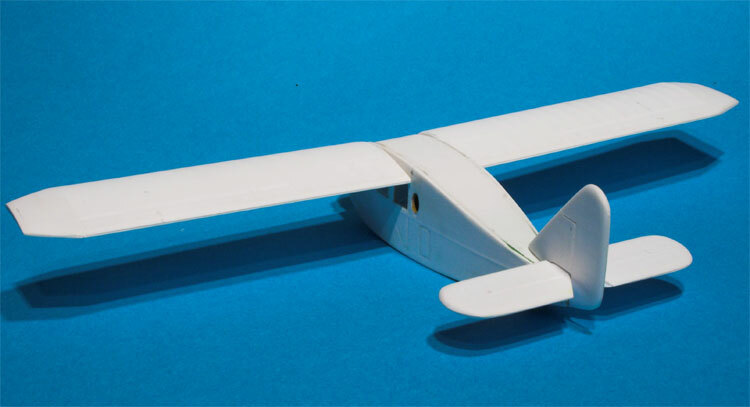 At this point I constructed a basic jig from balsa and scrap wood to hold the separate fuselage and float assemblies in perfect alignment whilst the float struts were measured up and fitted. 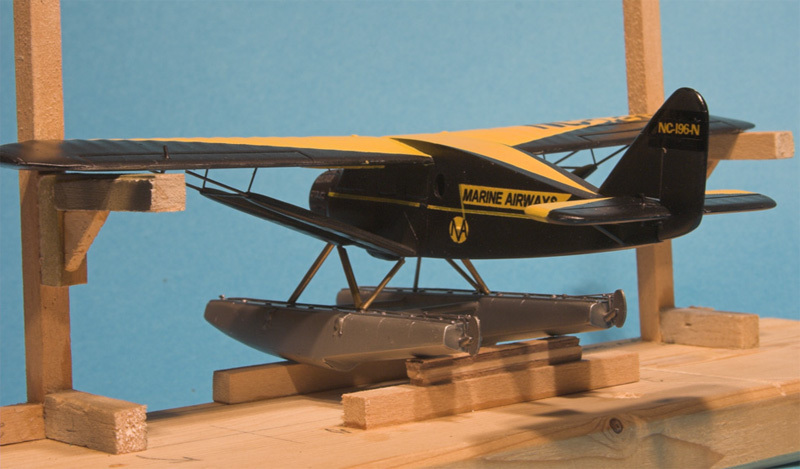 The strut attachment points were determined using a combination of reference photographs and measurements from the 3 view drawing of Shakey Jake and holes drilled in the appropriate positions in both the fuselage and floats. 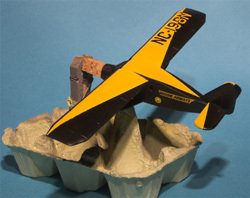 First, however, the airframe required painting and finishing before the floats could be fitted to avoid difficulties with access to the underside. Before priming the airframe the remaining sections of the airfoil struts were fitted. 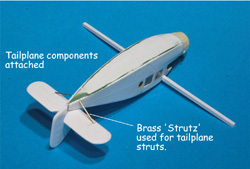 Brass Strutz was used for the strut extensions that attach to the under wing surface. After a thorough clean up of the airframe it was sprayed with a coat of Halfords Acrylic White auto primer. White was used in place of the usual grey primer as the next coat was to be an overall yellow. Two coats of Aircraft Colors ‘US Orange Yellow’ acrylic were airbrushed over the entire airframe followed by a careful application of Tamiya tape in order to create the mask for the attractive diagonal black and yellow colour scheme carried by Shakey Jake. Two blocks of yellow were retained in the area where the ‘two tone’ registration number decals would be placed to avoid any ‘bleed through’ of the underlying black into the yellow segments of the lettering. Two coats of Aircraft Colors ‘RLM 22 Black’ acrylic followed to complete the airframe paintwork. At the time of building no commercial decals were available for this particular aircraft so I created my own set using Microsoft Visio and printed them on Experts Choice clear decal film using an HP inkjet printer. Although this was a lengthy process because of the complexities of the black-yellow lettering the end result was very pleasing. Once all the decals had been applied the whole model was given two coats of acrylic varnish to seal everything down. With the paintwork complete it was time to attach the floats. The previously constructed jig held the airframe and floats securely whilst dividers were used to measure up the strut lengths. The float struts were fabricated from brass tube that was gently flattened using a pair of pliers to create the streamline shape. Before flattening a piece of piano wire was threaded through the tube to create fixing pins at each end. This was held rigid by the compression process. Each strut was inserted in turn into the pre-drilled holes and fixed with a drop of CA. The resulting structure proved to be very strong. The struts were painted aluminium and then ‘rigged’ using guitar string. All that remained now was to paint the resin engine and prop, fit the speed ring and manifold, and attach the finished assembly to the nose section of the aircraft. The basic manifold is provided in the kit, the modeller is required to add exhaust extensions according to the individual airframe being modelled. Exhaust configurations varied considerably between aircraft and careful checking of reference material is required. I made Jake’s extension using soft aluminium tube that fitted over the resin piece nicely and could be easily bent to produce the downward curving configuration depicted in pictures of the aircraft whilst serving with Marine Airways. The airframe was completed with the addition of tailplane bracing, a pitot tube, navigation lights, and aileron control horn cabling. Khee Kha’s Pacemaker is definitely not a kit for the beginner, but any modeller who has some vacform experience will find it very manageable. 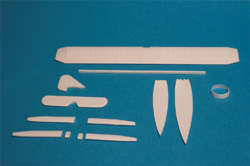 This is a kit for modellers who favour the ‘engineering’ rather than the ‘assembly’ approach to kit building. I found the experience immensely rewarding as it not only revitalised long lost modelling skills but enabled to me learn much about Alaskan aviation during the course of researching the aircraft. I am very grateful to Lars Opland who furnished me with many photographs of the full size machine. Now that both resin floats and decals are available for the Pacemaker there is no excuse to not to have a go at building this model. Khee Kha are to be congratulated for producing such an interesting subject and I look forward to building their Fairchild F-71 which is already in my kit stash. 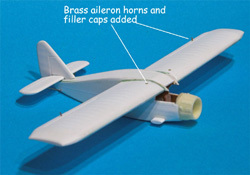 At a purchase price of just $20 plus postage the Khee Kha Bellanca CH-300 Pacemaker represents exceptional value for money.